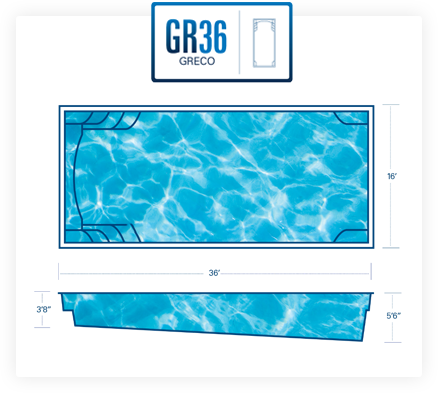 In an effort to give you the greatest value, we designed The Greco to give you the most open swim space possible. The Grecos generous shallow end bench is perfect for optional therapy jets and creates a great space for an entire family to relax together. The two deep end seats provide enough space for several people while preserving valuable swim space. 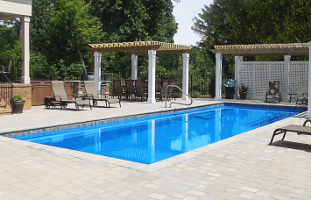 The steps of many fiberglass pool designs consume much of the pool interior. 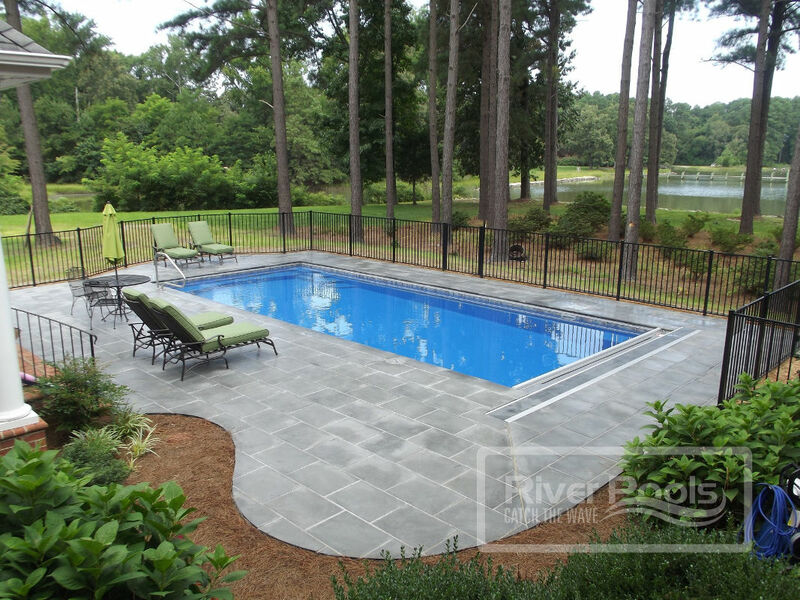 The steps of the Greco are designed for easy entry and exit while tucked away into the shallow end corners. Want more play area? The Greco has 33% more open space than comparable models because of it's unique step and bench configuration. 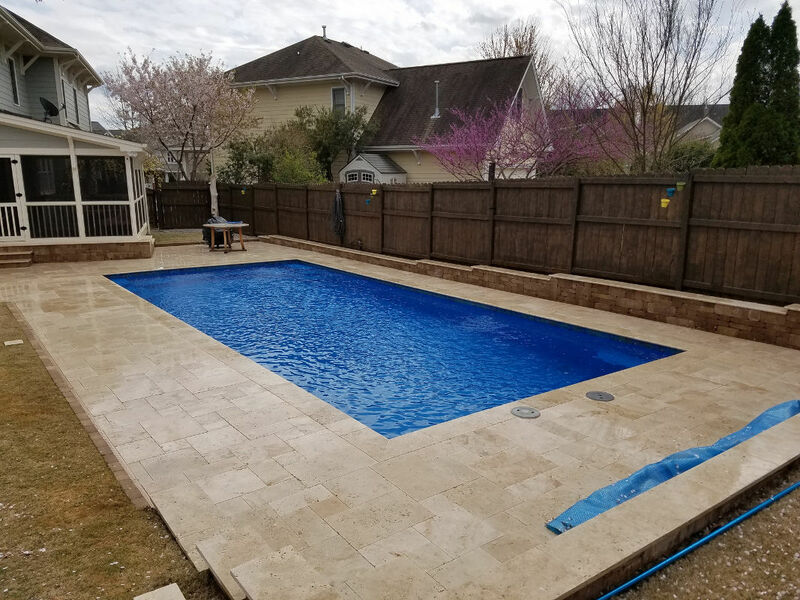 The rectangular design of the Greco allows cover tracks to be hidden beneath the pool coping, protecting them and keeping them out of sight. 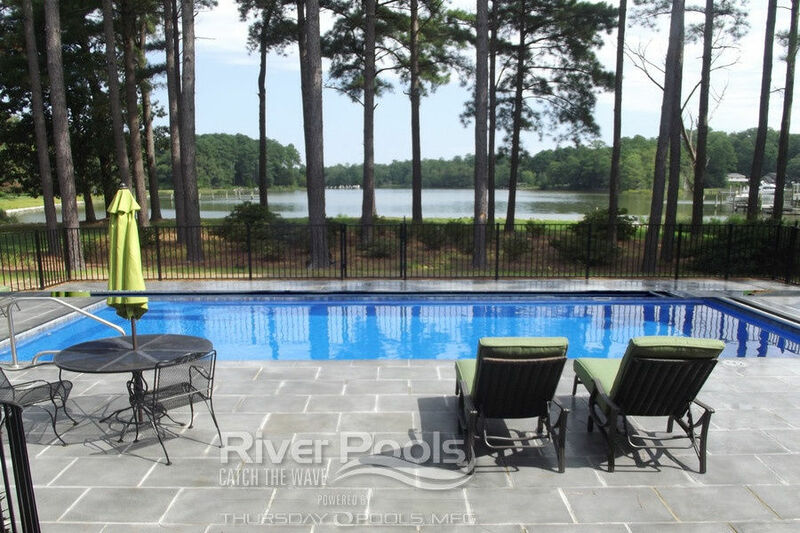 Enjoy pool games such as volleyball or basketball? 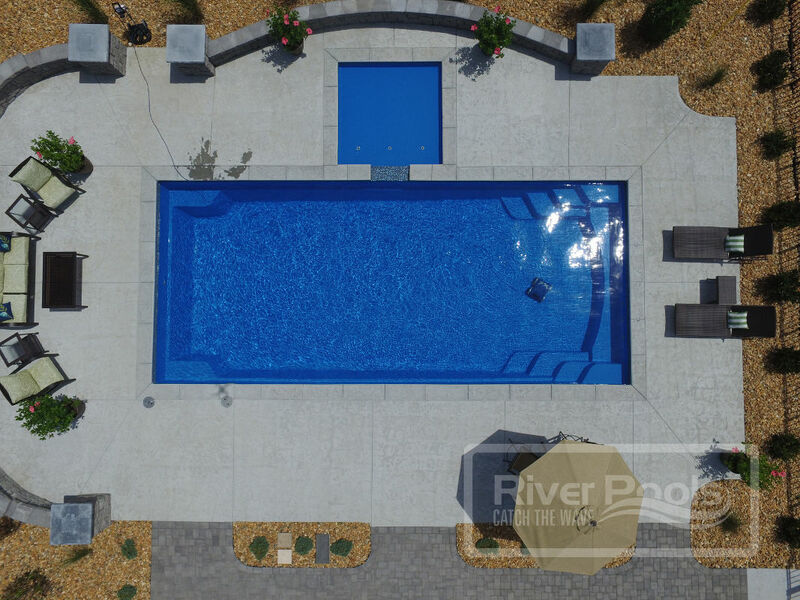 The gradual floor slope of the Greco allows you to play and use the entire pool interior for maximum fun! Swimming is a great low impact cardio exercise. The Greco has a great swim lane for those looking to stay fit.